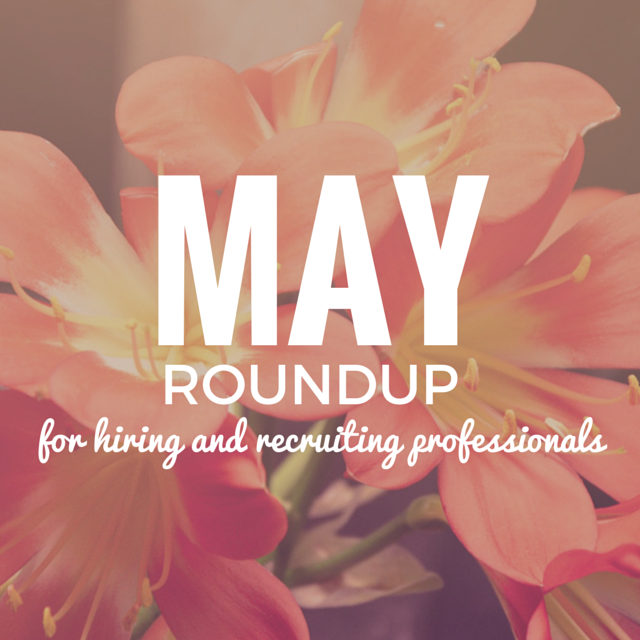 In the month of May, our hiring and recruiting roundup theme is how recruiters and hiring professionals attract talent to their job openings. Just as April showers are needed in order to grow May flowers, companies need great talent in order to grow their organization. Attracting general talent can be simple, but attracting the right kind of talent with the skills and cultural fit you’re looking for can be tricky. 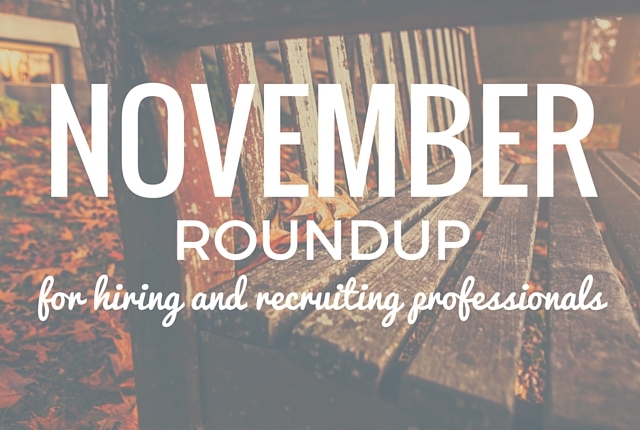 Throughout the month, we collected highly informative and useful blog posts that touch on this topic. We know you’re busy and might not have time to read through each and every article in its entirety, so we summed up each article to give you a taste of what was discussed in each one. With company competition on the rise, which steps do organizations take in order to stand out from the rest? Is it their vacation policy? In-office benefits like catered lunches or weekly massages? According to Amelia Wilcox, founder of Incorporate Massage, culture is what attracts top talent. But how can we create an inviting and meaningful culture? This article highlights six trending perks that many companies are including in their benefits packages. 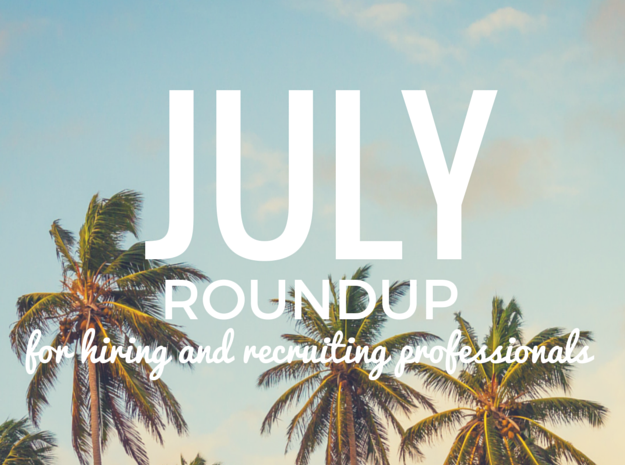 Among the trends mentioned include, corporate retreats, fun competitions, volunteering programs, and in-house rock climbing walls. And if you don’t have the budget to install a rock wall in your lobby (like most of us), your organization can also opt for weekly outings to the local rock climbing facility. Anything to get your employees more involved, working toward teamwork both inside and outside of the office is key here. This blog post written by Spark Hire’s CEO, Josh Tolan, explains three innovative ways recruiting professionals go about attracting top talent. Katrina Collier of Winning Impression, suggests using social media to map candidate’s interests to start a hyper-focused conversation. Connecting to your potential candidates this way is huge when looking at recruiting success, as the candidate will feel their interests matter to you. Amy Rees Anderson of REES Capital, gives out “recruiting cards” in order to attract the right attitude (rather than skill) needed for positions. These cards are given to employees to distribute to people they find out and about who possess the personality they think will be suitable for their office. Interview coach, Margaret Buj hosts networking events in order to meet candidates who are interested in a new opportunity. These informal events bring out highly qualified, and sometimes passive talent and proved to be incredibly successful. While big businesses can attract talent by offering brand-name recognition and sought out perks, how will small businesses grow without the top talent they need? 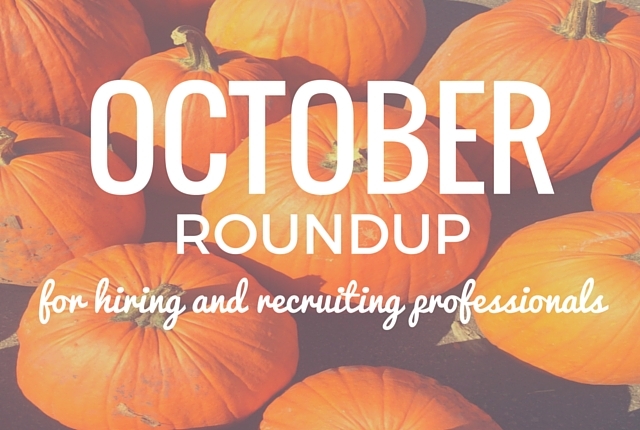 This article includes some tips on how recruiters can communicate small business benefits to their candidates. Let it be clear that working for a small company can actually be more helpful on a resume than working for a large company. For example, in a smaller company, employees are more likely to work on a range of projects; projects they might not have the opportunity to touch while working for a large company with minimal growth. 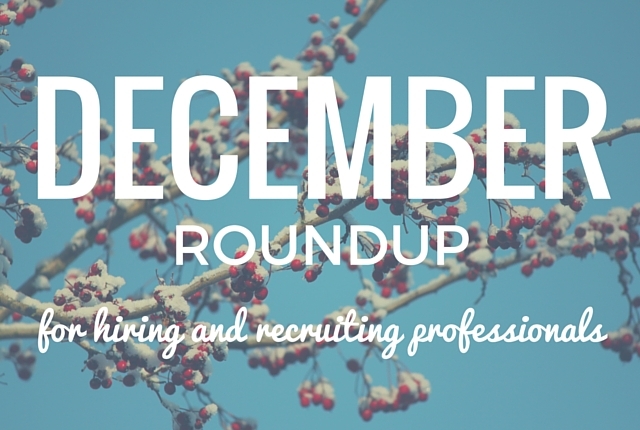 How can #recruiters communicate small business benefits to candidates? This article is published in ERE MEDIA – TLNT, written by Ian Cameron, Managing Director of The McQuaig Institute. This data-backed article summarizes a survey called “The McQuaig Global Talent Recruitment Survey 2015” with insights from more than 450 HR professionals around the world. This report gives some insight on how “Winners” companies are attracting talent and what “Strugglers” organizations need help with in regards to sourcing talent. Some key findings conclude both groups are investing in employee training, and consider candidates with potential to develop desired skills. However, the Winners are searching for candidates on social media through social recruiting tools (LinkedIn), while the Strugglers are not. One of our partners, Greenhouse, posted a blog about how to successfully attract top talent by optimizing the recruitment process. 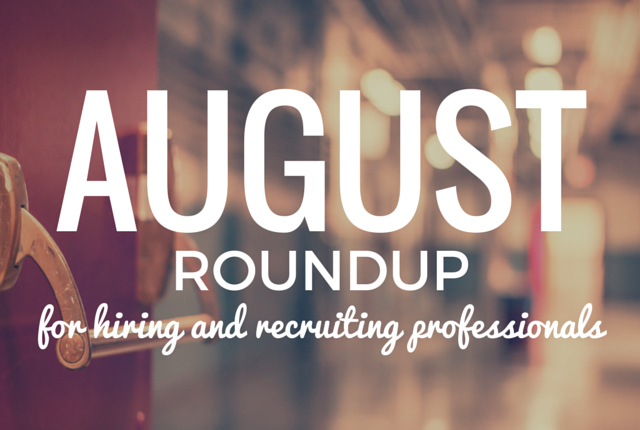 How do we optimize our recruitment process? 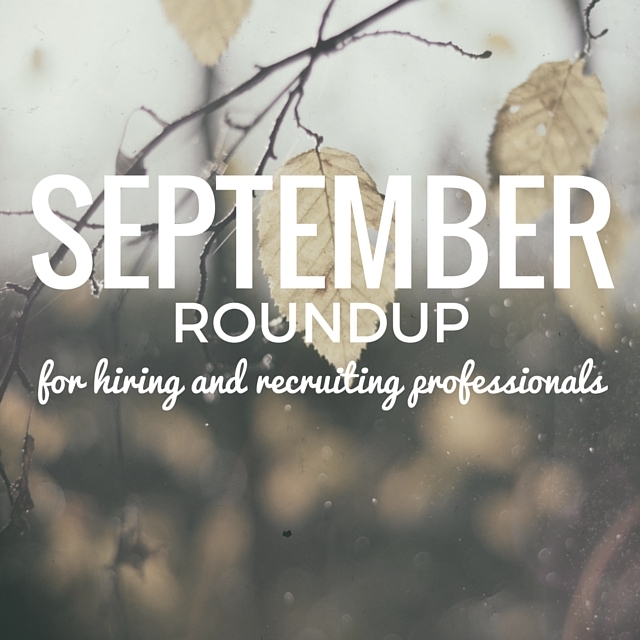 First, they mention how important tracking a candidate’s ROI is for a focused recruiting strategy. This will help determine where you’re getting more bang for your buck in terms of which sourcing methods you are using. Next, in order to proceed with the best talent, be sure to ask each candidate the same questions to evaluate skill gaps. Lastly, instead of asking canned interview questions, try opening the conversation by discussing company challenges and goals. This will give more insight on how interested the candidate is in the company and encourages real-world solutions. If you found this helpful, get your daily dosage of talent acquisition-rich content by subscribing to the Spark Hire newsletter, and be sure to follow us on Twitter and Facebook. 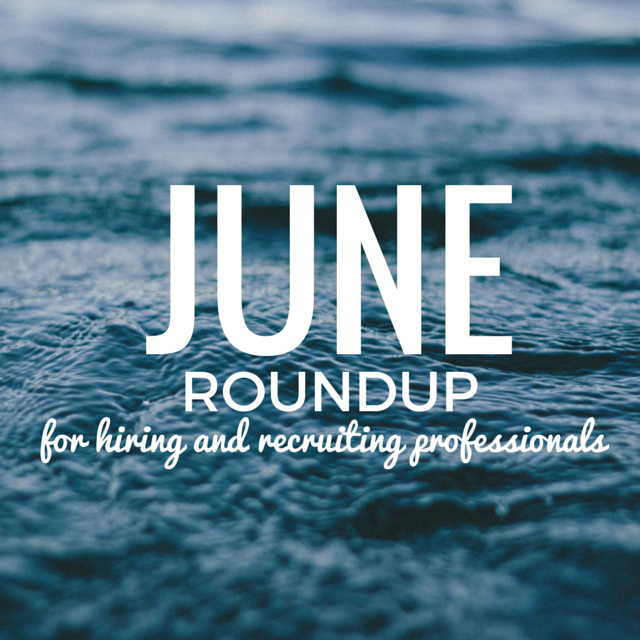 Feel free to suggest content to be highlighted in the June roundup by commenting below.